GoPro now has two cameras called the GoPro HERO. The first was released in 2014. If you're looking for memory card recommendations for that camera, you can find some here. This post refers to the new version of the GoPro HERO, which was released in early 2018. You can also sometimes see it listed as the GoPro HERO (2018). 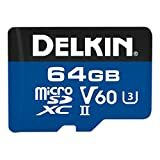 The memory card recommendations for the cameras aren't the same, especially because the old version couldn't take memory cards larger than 32GB. That limitation doesn't apply to the new version. Not every microSD memory card will work well in the GoPro HERO (2018). It doesn't have the 4K or high-framerate video modes of the HERO6 Black or HERO5 Black, but it still records at quite a high bitrate (more specifics on that below). So it's still very much possible to end up with a card that's too slow, which can cause video recording to stop unexpectedly, prompt an error message, or the camera can lock up (or perhaps all of those at once). So you don't necessarily want to be throwing just any old SD card in there and hoping for the best. These are fast and reliable, cost-effective, and readily available. Any of these make a good choice. If you'd like more detailed recommendations or other brands and models, you can find them below. This is not designed to be a comprehensive list of every card that works with the GoPro HERO (2018). What I'm trying to do is present some options so you can choose a card and be confident that it's compatible. There are other cards that also work well; I'll update this list as I have a chance to test them or as new models come out. There are also other fast cards that simply aren't easy to find or aren't cost-effective when you do; I'm most interested in ones that are readily available and reasonably priced. Fast, cost-effective, reliable, and widely available, the SanDisk Extreme range is a safe bet for using in any of the recent GoPros. 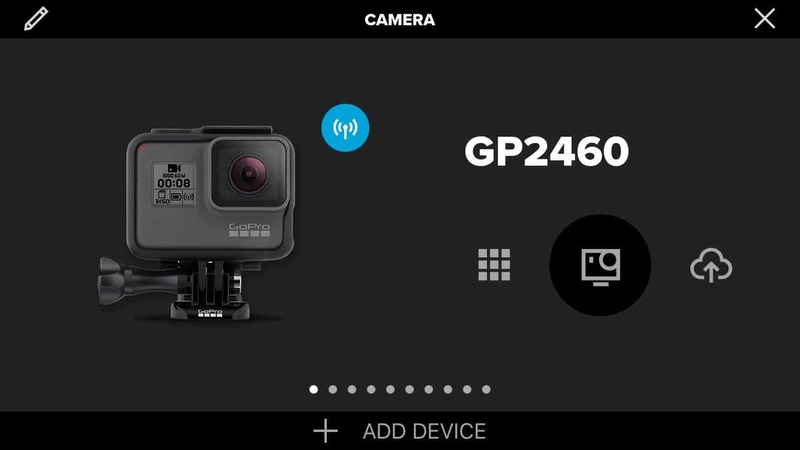 It's the card that GoPro itself often bundles with its cameras, and it's one of the ones they officially recommend in their Works with GoPro program. It comes in 32GB, 64GB, and 128GB sizes. (There's a 265GB version marketed under model number SDSQXAO-256G-AN6MA in North America). As with most of its product names, SanDisk recycles them with newer, faster cards. So you can find "Extreme" cards that are actually several years old. It's therefore worth checking the model number, although in practice even some of the older versions of the Extreme cards will also work well in GoPros. The newest version of this card has a model number that starts with SDSQXAF. Samsung makes several excellent microSD cards. 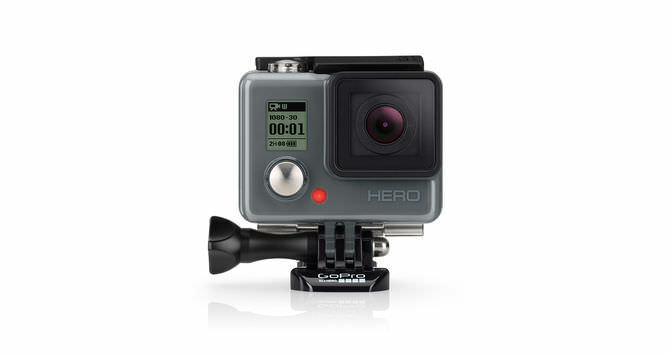 This is among their less expensive models and represents great value, but it's plenty fast enough for the GoPro HERO. It's available in 32GB, 64GB, and 128GB sizes. 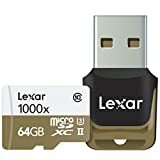 While slower than the 1000x Lexar cards (which are also listed, below), these also work well and are a good cost-effective option. It's a card that has now been available for quite some time and they're typically very reasonably priced--sometimes in multi-packs. One of the other appeals of this range is that there's an unusually wide choice of sizes: 256GB, 200GB, 128GB, 64GB, 32GB, and 16GB. It comes with *either* a microSD to SD adapter cartridge *or* a USB 3.0 thumb reader, so make sure you're getting the version you want. You can also find multi-packs. This one is faster than Lexar's 633x line. You won't get any benefit in the camera (possible some when downloading to a computer), but being newer they might become easier to find in stores. It comes in 32GB, 64GB, and 128GB versions. The Extreme Pro line is SanDisk's top-of-the-range line. It's faster and fancier than the HERO needs--the regular Extreme and Extreme Plus cards work just as well in the camera, but the Extreme Pro also works well. It comes with a very fast USB thumb reader that can take advantage of the UHS-II host type, but again, that's not something that will give you any benefit when you're filming (but might when you're downloading from the card to a computer). The Extreme PLUS line is a step up from the standard Extreme. In my tests, the Extreme PLUS does have a faster sequential write speed than the Extreme, but you won't get any added benefit from that in the camera--both exceed the speed requirements of the GoPro HERO's data stream. SanDisk's Pixtor range is the same as SanDisk's Extreme range--it's simply a rebranded version that's designed as a house brand for Best Buy. But their labeling is not as clear as it could be. The one you want is the SanDisk Pixtor Advanced, which is red and gold, but the card itself doesn't have the "Advanced" part printed on it. There's another version, which is just the SanDisk Pixtor, which is red and gray; that's the equivalent of the SanDisk Ultra and isn't one I'd recommend for the GoPros. Like SanDisk, Samsung has quite a few different microSD models. It's not always clear what the difference is, especially when they have similar model names like Pro, Pro+, and Pro Select. In practice, any of the Pro variations in Samsung's line will work well in the GoPro HERO. These cards by Delkin are one of the few currently available that come with the new V60 rating for recording 4K and 8K video. It's also a UHS-II card and comes with a UHS-II SD adapter cartridge (most other adapter cartridges are UHS-I). Both of those specs are more than you need in the GoPro HERO (although they'll still work well), but they're very good and fast cards that work well in a variety of demanding cameras. While Transcend doesn't have the same marketing budget in the US as some of the bigger brands, they're actually one of the major players in memory cards globally, and in addition to the consumer market they also make specialist industrial and high-durability cards. This card has a rated write speed of up to 85MB/s and read speed of up to 95MB/s. The GoPro HERO (2018) is fully compatible with both the microSDXC and microSDHC specifications (more on that below). So you can use cards ranging from 8GB up through 256GB or even larger. Probably the sweet spot in terms of cost-effectiveness and convenience of not having to constantly clear off the card is in the 64GB to 128GB size. The cameras use the UHS-I host specification, so you won't get added benefits if you put a UHS-II card in them (it will still work but will roll back to UHS-I). For the speed rating, the safest bet is to stick with one that's rated with the new V30 category or U3, although there are also U1 cards that work just fine. The main reason you need a reasonably fast SD card in GoPros is to cope with the data that needs to be written quickly to the card when recording video (and, to a much lesser extent, in the buffer modes when taking still images). That data flow is referred to as the bitrate. There are many other things that also go into video quality, but the higher the bitrate, the lower the amount of compression, and therefore there's potentially higher video quality. Video bitrates are conventionally measured in megabits per second, usually written as Mbps but also sometimes as Mb/s. The speed of memory cards is conventionally measured in megabytes per second, or MBps or MB/s (note the capitalized "B"). There are 8 megabits in 1 megabyte. So 45Mbps (megabits per second) is equivalent to about 5.6 MB/s (megabytes per second). Unfortunately, that's not the end of the story. It would be nice if that meant that you could just make sure your card had a write speed faster than 5.6 MB/s, but other factors come into play in practice, including inflated manufacturer speed ratings, sustained speeds vs peak speeds, and, most importantly the role of host devices and connections in decreasing the efficiency of the data transfer (ie. there are crucial bottlenecks). All of which means that it's best to stick to cards that are known to work. X Rating vs MB/s. Some manufacturers use a more cryptic x rating in place of MB/s. Lexar, in particular, has long used this system. It comes from the old way of measuring the speed of CD-ROM drives when the standard speed of a CD-ROM drive was 150KB/s. Each x, therefore, equals 150KB/s. The GoPro HEROs are compatible with both the microSDHC and microSDXC formats, so you can use either. In practical terms, microSDHC refers to a card that has a storage capacity of 32GB or smaller and microSDXC refers to one that is 64GB or larger. Class 10 is designed to support 1080p recording at a minimum (but again, not at all framerates) with a minimum serial write speed of 10 MB/s. 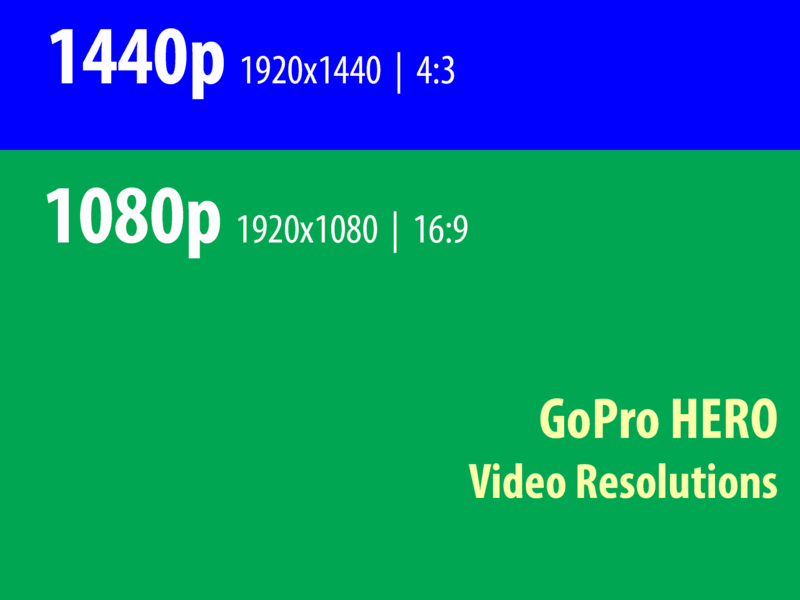 You'll often see it marketed as "full HD", but that's pretty outdated now. What "full HD" means in this context is 1080HD video, which is no longer a cutting-edge HD video mode. V30 is a new video speed class put out by the SD Association that applies to cards that are rated for a minimum sequential write speed of at least 30MB/s. 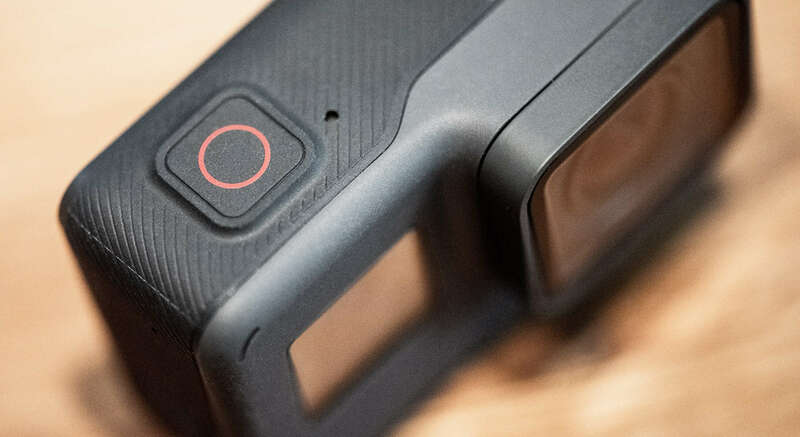 The specifications allow for faster and slower ratings—all the way up to V90 for 8K video—but V30 is the most relevant for the current generation of cards and the GoPro HERO. Newer microSDHC and microSDXC cards have a feature called ultra high-speed bus, which refers to the interface. So far, there is UHS-I and UHS-II. Both types of cards will work in the GoPro HERO, although you won't get any benefit in using a UHS-II card over a UHS-I one. The product labeling for cards with this technology will have either UHS-I or UHS-II, or sometimes just I or II. Technically, it should be Roman numerals, but you'll sometimes see it listed with a number 1, like UHS-1, even by some manufacturers. 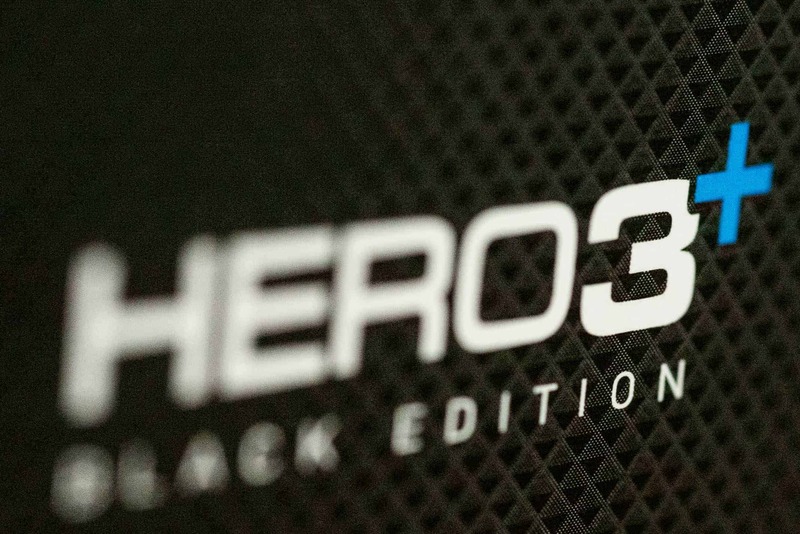 Will 128GB or 256GB Cards work in the HERO? Yes. So long as the card has a fast enough write speed, there's no problem using the 128GB or 256GB version. Several of the cards listed above have options in those sizes. Again, these are not official GoPro recommendations. Naturally, since I don't make the cards or the cameras I'm not in a position to make guarantees that what works for me will work for you, but hopefully, it'll provide a useful starting point. 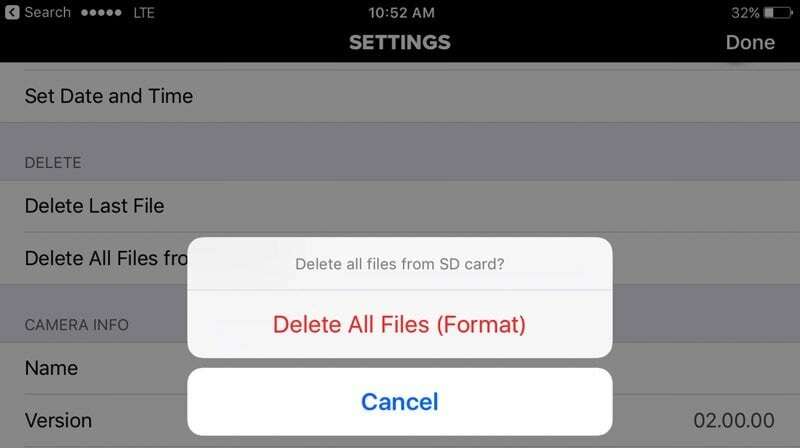 Before using it, format the memory card in the camera. It's a safer option that formatting on your computer and can help prevent problems. And it's a good idea to reformat in the camera fairly regularly as a way to prepare the card for use. I do it immediately after downloading all my footage/photos from the card to my computer so that it's ready to go for next time. You can find the reformat function under Settings > Delete All. I have a separate roundup of the fastest microSD cards.